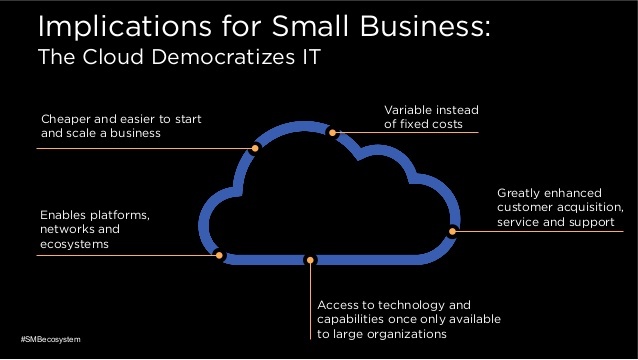 Small businesses and entrepreneurs are moving to the cloud along with the big boys, enabled to compete by new technologies that democratize IT, according to a new report commissioned by Intuit Inc. 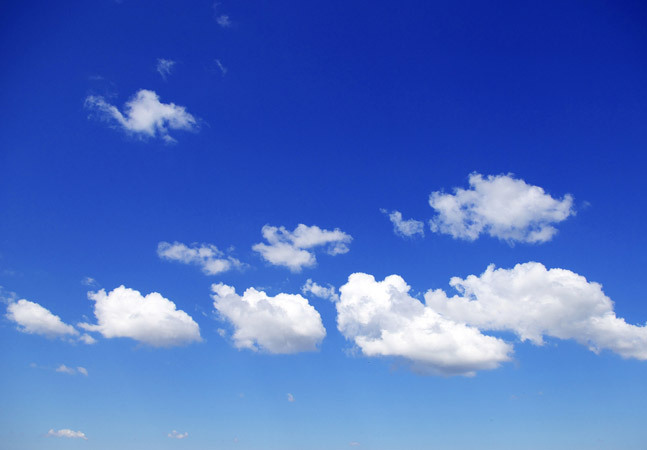 While some 37 percent of U.S. small businesses have so far adapted to cloud computing, that number is expected to grow to more than 80 percent in the next six years, according to "Small Business Success in the Cloud," prepared by Emergent Research. "Whether you're a tech start-up in Silicon Valley or a mom-and-pop shop on Main Street, cloud technology presents radically new opportunities, and potentially disruptive changes," said Intuit exec Terry Hicks in a statement accompanying the report. "This report is all about developing a deep understanding of how small business can stay ahead of the curve." 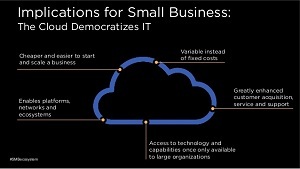 The report sponsored by Intuit -- which provides cloud services to small businesses -- reveals how small businesses progressively adapt to the new technology, at first looking for increased efficiency and then moving on to using new business models. The report divides the users into four "faces of the new economy" or "personas": plug-in players; hives; head-to-headers; and portfolioists. [Click on image for larger view.] How the cloud democratizes IT. Plug-in players are described as small businesses that just plug in to cloud services for business operations such as finance, marketing and human resources rather than managing the nuts and bolts themselves. Hives are cloud-adapted businesses whose employees join together virtually from different locations, with staffing levels being adjusted to meet project needs. Head-to-headers consist of an expanding number of small businesses who will compete head-to-head with large companies by utilizing the growing number of available platforms and plug-in services not previously available. Portfolioists are described as freelancers who create portfolios from multiple income streams. "These largely will be people who start with a passion, or specific skill, and are motivated primarily by the desire to live and work according to their values, passions, and convictions," according to the companies' statement. "They will increasingly build personal empires in the cloud, finding previously unseen opportunities for revenue generation." Together, the companies said, the above personas illustrate new opportunities presented by cloud for entrepreneurs and how the "human side" of cloud computing's ability to make it cheaper and easier to start and grow a business. "Today, the U.S. and global economy is going through a series of shifts and changes that are reshaping the economic landscape," said Steve King of Emergent Research. "In this new landscape, many people are using the power of the cloud to re-imagine the idea of small business and create new, innovative models that work for their needs."